Please note, we require one wall measurement to be supplied to scale the 'Add Furniture' feature to your property. We will contact you within 24 hours to confirm your order. We will forward you a secure link for payment by credit card or PayPal to proceed with the order. 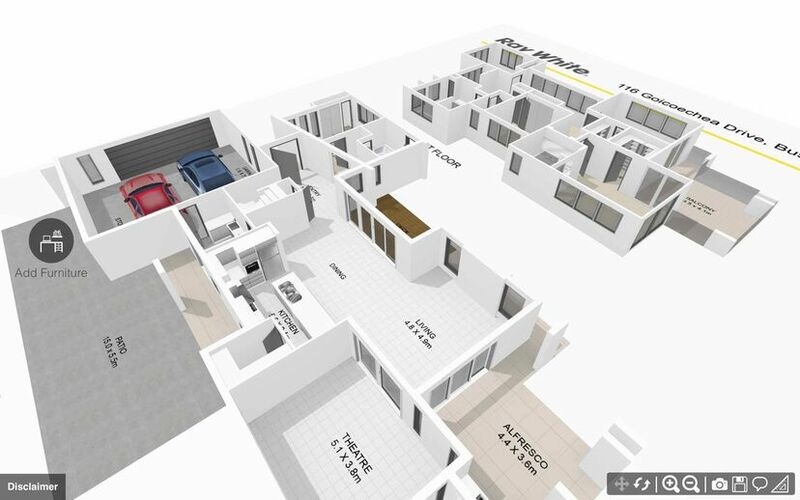 We email you a URL link to the completed interactive 3D floor plan. Click on the link to open or share via sms, email or on social media. Copy & paste the URL into the 'Virtual Tour' section on either realestate.com.au or domain.com.au to include in your online listings. 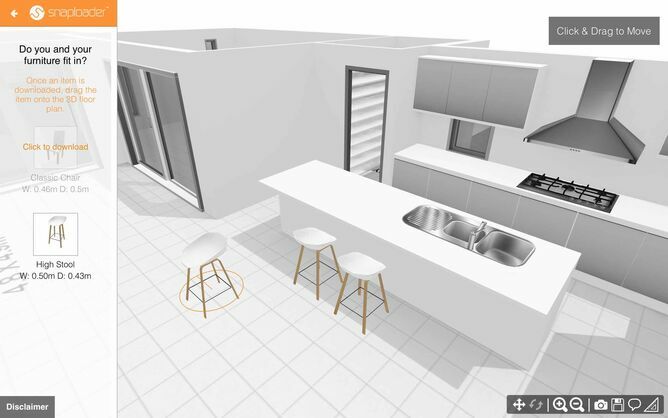 Contact us to find out how to embed a 3D web viewer window into your website. 1. 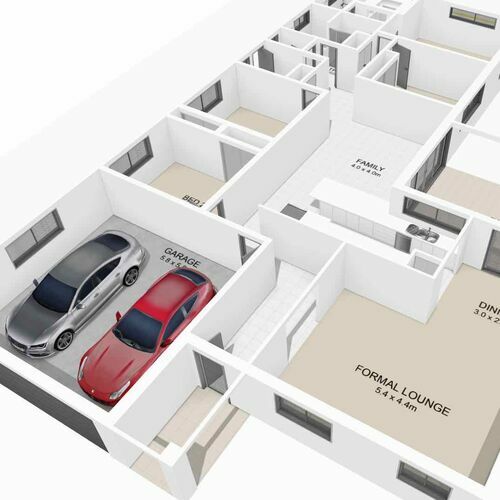 All 3D floor plans require a standard 2D floor plan or builder's plan to be supplied. 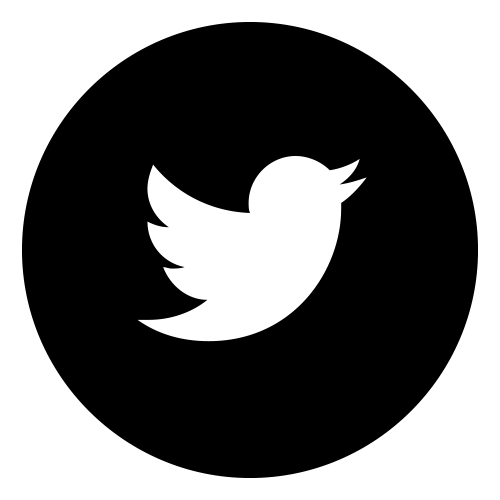 Multiple levels are represented on a single template. Descriptions, dimensions and a compass are included if supplied. 2. 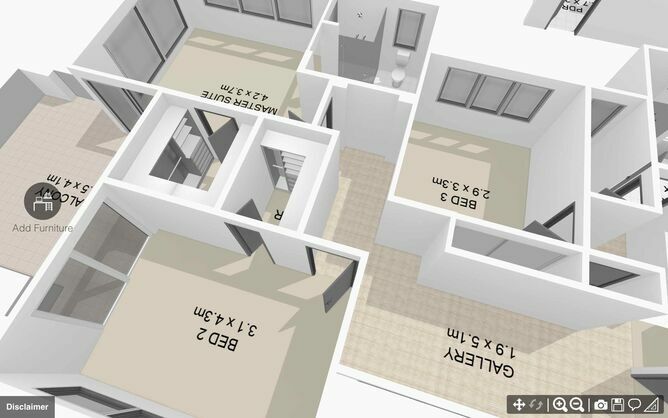 3D floor plans are depicted from a bird's-eye view with the roof removed and the walls slightly lowered. 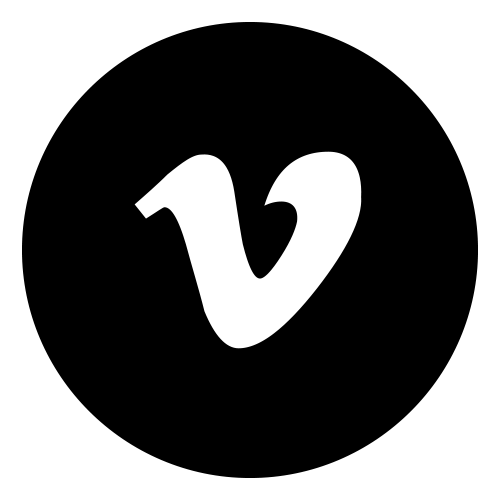 Scale and dimensions are represented as accurately as possible. 3. 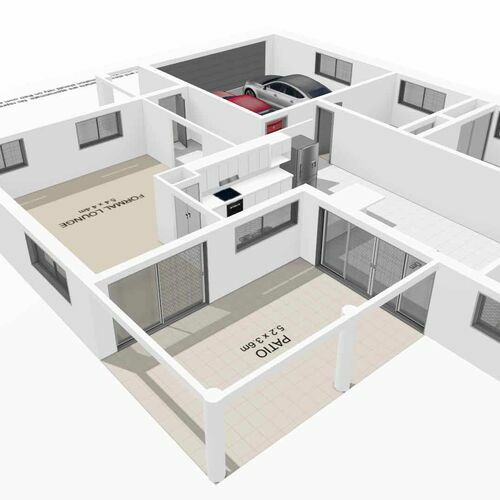 3D floor plans are designed to be simple and clear using a standard neutral finish for walls, floors, doors and windows. Shading is used to define areas and does not represent actual lighting. 4. 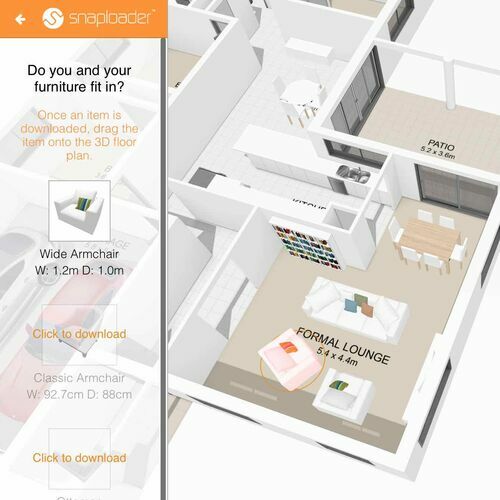 3D floor plans are supplied as a shortened URL and are viewed in the Snaploader 3D web viewer. No downloads are necessary. 6. Our Furniture Library uses standard items of contemporary furniture. 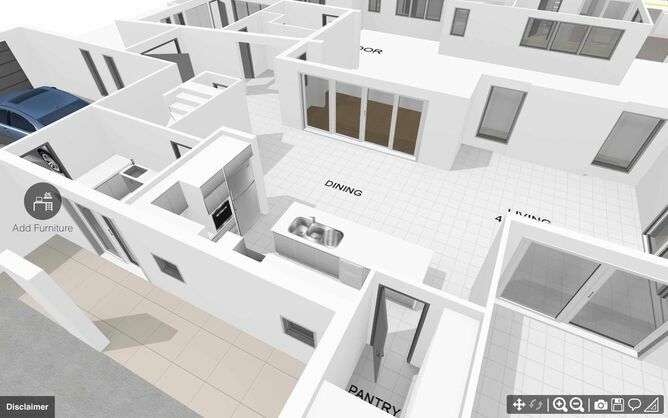 Drag & drop furniture into a 3D floor plan to create an indicative fit out. Use the menu to save or screenshot your fit out. IMPORTANT: WE REQUIRE ONE WALL MEASUREMENT TO SCALE THE ADD FURNITURE FEATURE. 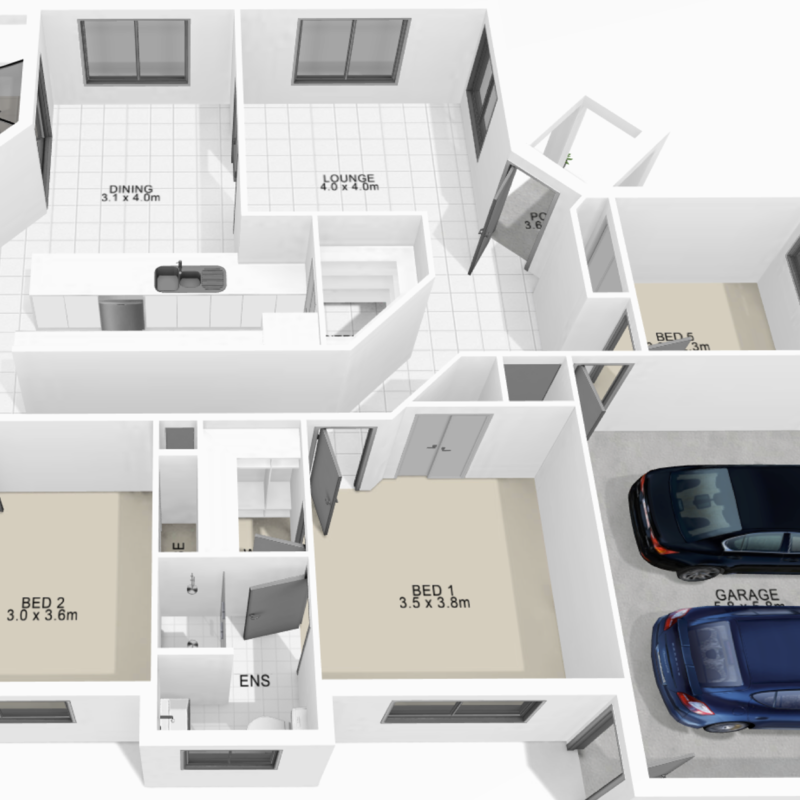 Click on 'Order a 3D floor plan' below. In the email, please provide the property address and attach a pdf or jpeg of a 2D floor plan or builder's plan for your property. We will contact you within 24 hours to confirm your order and advise payment to proceed.